When you want to get HP C5580 ink cartridges, Cartridge Save will have everything you'll want. Trying to get the matching brand new ink is another time consuming annoyance, notably when it means needing to stop by or perhaps even contact all sorts of suppliers. However, getting your hands on C5580 cartridges shouldn't have to be a stressful time. Purchase some HP C5580 printer ink now from Cartridge Save and you could get more than purely some time, you will also get a better price. HP C5580 Ink Cartridges Delivered The Following Day! Totally free overnight delivery is supplied as one part of the package if you buy cheap HP supplies from us. Any HP C5580 printer supplies online with Cartridge Save are fully protected by our cash back guarantee. In case you've difficulties, merely mail us your goods and get a 100 % refund! Don't lose out when prices are this cheap! 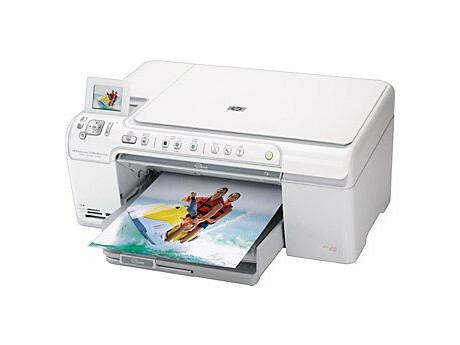 The HP Photosmart C5580 is a printer which has earned its reputation ever since the item was first introduced a few years back. But, though there have been many Photosmart printers introduced since the HP Photosmart C5580 first hit the shelves, could you benefit from picking up one of these very accessible pieces of equipment? The HP Photosmart C5580 is a very simple item in design terms and this is very much to its credit. The HP Photosmart C5580 comes in a plain white finish and is complimented by the soft curves and easy to use interface which we have come to expect from the Photosmart range. All in all, this is a very useful item and it is designed with you in mind. The HP Photosmart C5580 boasts a scanner, can produce high quality print outs, and photographs and what's more, it also allows for a Bluetooth connection, making your home printing needs even less challenging than you might have thought possible. There are hardly any. Honestly, the HP Photosmart C5580 is very forward thinking, even today and boasts some very pleasing features. It even allows for direct CD printing, a very rare bonus. So, if you fancy a home printer but would rather buy an older model, the HP Photosmart C5580 should be considered.